You couldn’t picture the mini without thinking about Britain. The Mini is as iconic as Buckingham Palace and the red double decker bus. Just like a storyline from a movie, the design of the car was penned out on a napkin in a restaurant by Alec Issigonis in 1956. By 1959, the car had been launched, named the Morris Mini Minor at the time (known as simply the Mini ten years later) and it went on to become the best-selling British car in history. The purpose of the Mini was to provide passengers with plenty of legroom whilst remaining under 10ft long which it achieved. In fact, 80% of the car was devoted to passenger and luggage space. Since the boot was smaller, Mini came up with a solution to maximise on space. The company offered the extra option of picnic wicker baskets which fit perfectly underneath the rear passenger seats and were ideal for transporting belongings from A to B. When fitting the compact engine, the mini had to be placed on its side in order to slide it into a smaller space, which is a concept that’s still used today when creating smaller vehicles. Wheels on other cars at the time were generally around 15 and 16 inches, those on the Mini however were a tiny 10-inches to maximise interior space. Value of the classic car today: £5,000 – £50,000 depending on the model, age and condition. The Fiat 500 was created in Italy and is a great symbol of Italy just like the Vespa. Many tourists hire the 2007 version to explore the country in style. Fiat has produced many products that weren’t related to the automobile industry, such as aircraft engines and military equipment during World War II. Their first car rolled off the production line in 1900 and, in the same year, their manufacturing plant was established which lead to the production of 24 cars per year. The Fiat was originally designed to be an affordable small car for everyone, Fiat went on to produce many successful models in time which such as the economical 514, the 525 and the SuperFiat. The original Fiat 500, commonly known as Topolino, was launched in 1937. It stood out from competitors with a lowered aerodynamic nose profile whilst others had a flatter grille. Fiat went on to produce two further models of the 500, one in 1957 and the other in 2007. Standing at 4ft talls, the Topolino weighed in at just over half-a-ton, which made it lightweight and compact compared to other cars on the market. Value of the classic car today: £4,000 – £50,000 depending on model, age and condition. The reason the Beetle got it’s name, remains a mystery. The first time the reference was used in print was in a 1958 edition of Autosport magazine and the use of the term continued to grow. 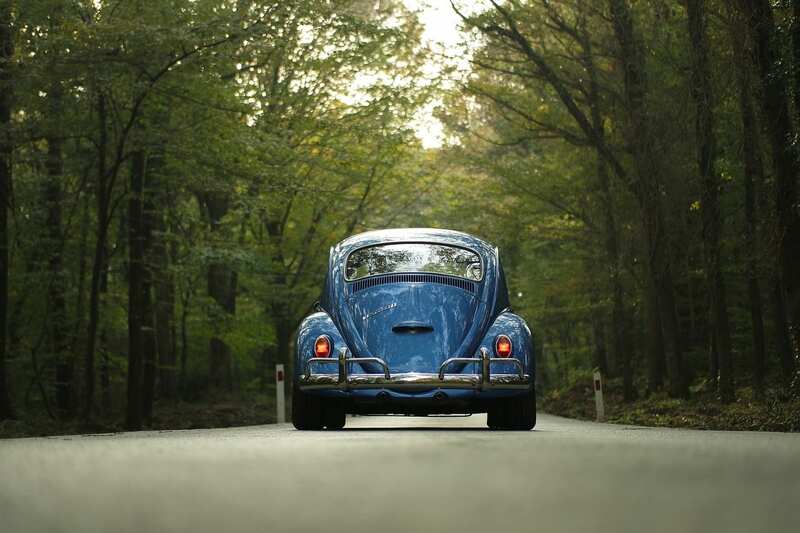 Built either side of World War II, it took a while for the Beetle to gain popularity. Just as the first few cars were manufactured in 1938, the war begun and the factory was used for war efforts instead. It wasn’t until 1947 when people finally got behind the wheel of the automobile. The Beetle was built to be strong rather than aesthetics, even though it’s iconic profile make it sought after today. One of the features that many collectors love is the original split-rear window design that got replaced by a single oval window in 1952. Unlike smaller vehicles that were around at the same time, the Beetle accommodated for four adult passengers with plenty of storage beneath the seats and in the boot. Beetle collectors tend to receive cars of different power, depending on when the car was manufactured. Originally made with 24 horsepower, the model underwent many engine enhancements which left the car with a horsepower of 57 by 1970. Originally Manufactured in 1964, the sixth generation of the Mustang is still being sold today. The ‘Stang started the ‘pony car’ craze in America — a collection of vehicles which were affordable, sporty and had a performance-oriented image. This class of cars were aimed towards a younger market than the traditional car buyer and they proved popular. In fact, 22,000 sales of the model were made on its release date. The aim of the model was to make a car that was different to any other. This was achieved through its sporty coupe silhouette and short rear decks. The generations that came after the ’64 version seemed to become wider and longer in size, yet still remaining as popular. The Classic Mustang was believed to be the models between 1964 and 1972. This encompassed vintage models such as the Shelby Mustang Lineup, Boss Mustangs and the Cobra Jet. Value of the classic car today: £6,500 – £70,000 depending on model, age and condition. There are many collectors who take great pride in restoring classic cars and they often strip the vehicle apart and put it back together with refurbished parts. The prices of each model range massively due to the quality of the vehicle, the mileage and the model — which one takes your fancy?